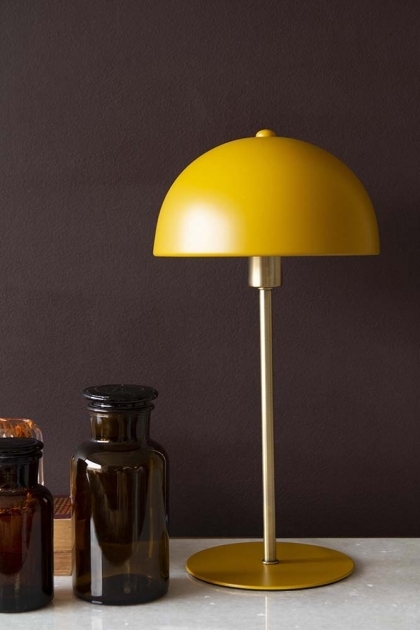 Of the moment this mustard yellow block colour table light oozes curve appeal! Perfect for adding curved lines and block ochre gold colour pop to your home offices, living rooms, hallways and bedrooms. Featuring a rounded turmeric yellow dome top, stylish brass stand and turmeric yellow circular base the Ochre Gold Dome Table Lamp is made from metal and measures 20cm in diameter x 39cm in height. The Art Deco Style Table Light requires a E14 bulb with a maximum wattage of 25. Please note, that the bulb is not included with this table light. If you are searching for a table lamp that looks just as good when it’s switched off as when it’s on, then look no further! The Art Deco Canopy Table Lamp is the business! 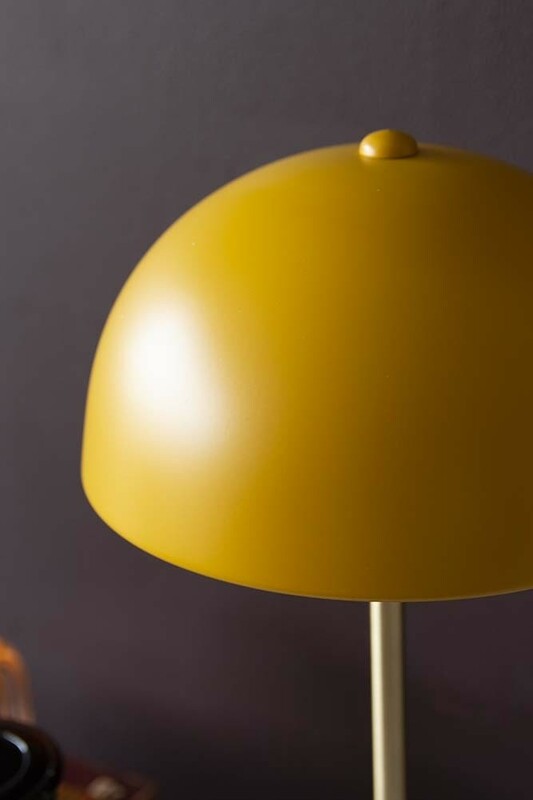 Quirky and cool the retro style table lamp will inject personality into the home at the flick of a switch and will demand the eye as soon as you walk into the room. 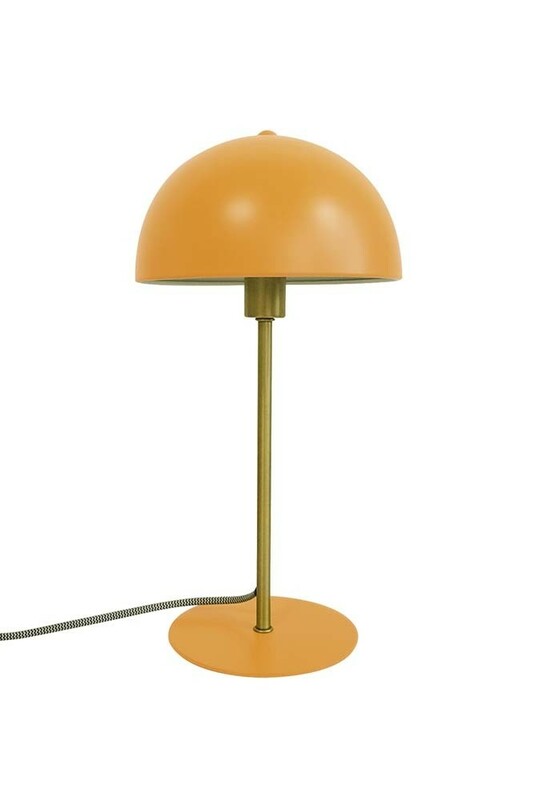 We also think that this turmeric coloured table light will be loved by anyone who wants to inject block colour into their home interiors without completely redecorating a room. The beauty about this fabulous table light is that it’s perfect for just about any room in the home. However, we think that it would look particularly great when styled on a console table in your hallways. So, why not style this striking white dome lamp with its matching black, white or berry red dome desk lamps to create a quirky lighting feature as soon as you walk in the home? !